The old Broadway Bridge, built in 1956 when Dwight Eisenhower was president, is “structurally deficient,” according to publicly available reports, and needs critical repairs. But right next to it stands a much older bridge for which detailed public records are not available. 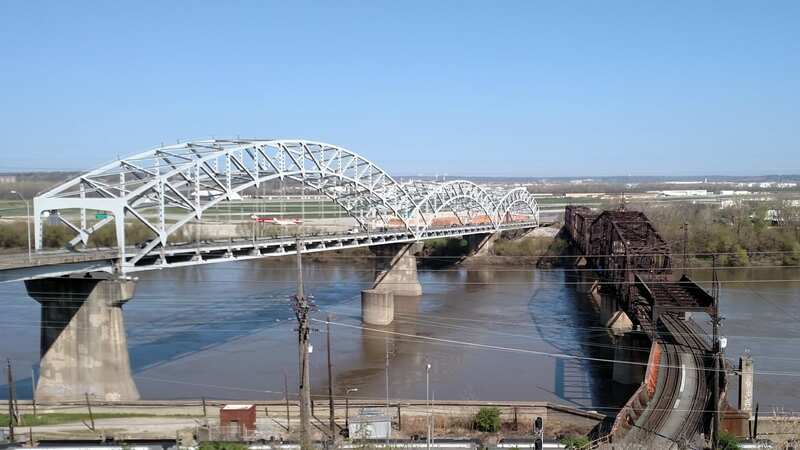 The rusty, century-old Second Hannibal Bridge, finished in 1917 when Woodrow Wilson was in office, carries millions of tons of railway freight, including crude oil and other hazardous materials, over the Missouri River. It’s a vital part of Kansas City’s aging infrastructure, and an accident there could unleash an environmental calamity in the river below. They are rare, but problems with railroad bridges caused 23 accidents between 2007 and the end of last year, according to federal data. BNSF Railway owns, inspects and maintains the Second Hannibal Bridge, and the company said it exceeds federal bridge safety requirements for railroads. BNSF’s own data show that more than 99.9 percent of the crossings over BNSF’s 13,000 bridges nationwide occur without incident. But such assertions by BNSF and other railroads are not backed up by public documents, such as those available for roadway bridges like the Broadway Bridge, now called the Buck O’Neil Bridge. BNSF declined this week to release any of those documents to Flatland, it said, out of concerns for the security of the bridges. Federal law, enforced by the Federal Railroad Administration, requires each railroad to have a bridge safety management program to prevent deterioration of the nation’s 100,000 railroad bridges. The FRA is charged with oversight of that program and checks the railroads’ bridge records to ensure they’re in compliance. With only six bridge inspectors nationwide, that means the FRA can check the paperwork on only a small portion of those bridges each year. Last year, the FRA recommended five violations against three railroads for failing to observe bridge safety standards. A Flatland Freedom of Information request to the FRA produced documents showing that paperwork for the two bridges had indeed been checked by the federal government. No other information was released. The issue has sparked concern in cities and states around the country over how railroad bridges are inspected and how much information railroads should share with the public. Besides the Second Hannibal Bridge, BNSF also owns the old ASB Bridge, just downstream. They both carry freight, and they both are more than a century old. BNSF, owned by Warren Buffett through his Berkshire Hathaway holding company, is the nation’s second-largest railroad and is a leading shipper of crude oil, although crude oil shipments have been declining. It also is a big factor in Kansas City’s extensive railroad system, the second largest in the country. There is no record of a derailment, accident or failure on either of BNSF’s downtown bridges here over the past decade. And BNSF’s bridge safety record appears to be one of the best among large U.S. railroads. According to BNSF’s records, its 13,000 railroad bridges carry 300 miles of track, and there have been no derailments caused by bridge failures. However, federal records show three derailments, one in 2009 and two in 2011, in which some cars on BNSF freight trains derailed while crossing bridges in Iowa, Arkansas and Nebraska. It was not clear in the data who owned those bridges. And in September 2015, seven ethanol tankers derailed near a small BNSF bridge crossing over a dry creek near Scotland, South Dakota. One car caught fire. Damages reached $1 million, but there were no injuries. Derailments, whether on bridges or not, can cause considerable damage. Just two months ago, BNSF settled a case that arose from a 2015 derailment near Galena, Illinois, that spilled 140,000 gallons of crude oil. BNSF will spend more than $10 million to clean and monitor the site, and it paid $50,000 in penalties. In the early days of American railroading, with fast-paced construction and little oversight, bridge disasters became almost a cliché. In 1876, 92 people died and 64 were injured when a truss bridge failed over the Ashtabula River in Ohio. Thirty died and 40 were injured in an 1887 bridge collapse in Boston, and 111 died in 1904 when a wooden railroad bridge gave way in Colorado. Missouri’s worst railroad bridge disaster was among the earliest. Thirty people died and scores were injured in November 1855 when a Pacific Railroad train pulling 14 cars carrying 600 passengers fell through a bridge over the Gasconade River near Hermann, Missouri. And while they are rare, deadly railroad bridge accidents still occur. In November 1996, an Amtrak train derailed crossing a bridge over the Hackensack River in Secaucus, New Jersey, sideswiping another Amtrak train and injuring 42 passengers and crew members. Damages topped $3.6 million. An investigation by the National Transportation Safety Board blamed the accident on a failure to correct rail problems on the bridge that were discovered long before the accident. Congress became concerned enough about railroad bridges that it passed tighter laws in 2010. Railroads are now required to create and maintain bridge inspection programs and inspect their bridges at least once a year. Federal rules also require them to audit their inspection programs. The Federal Railroad Administration’s six bridge inspectors check that paperwork and observe bridges to make sure they match detailed railroad paperwork, which is not available to the public. 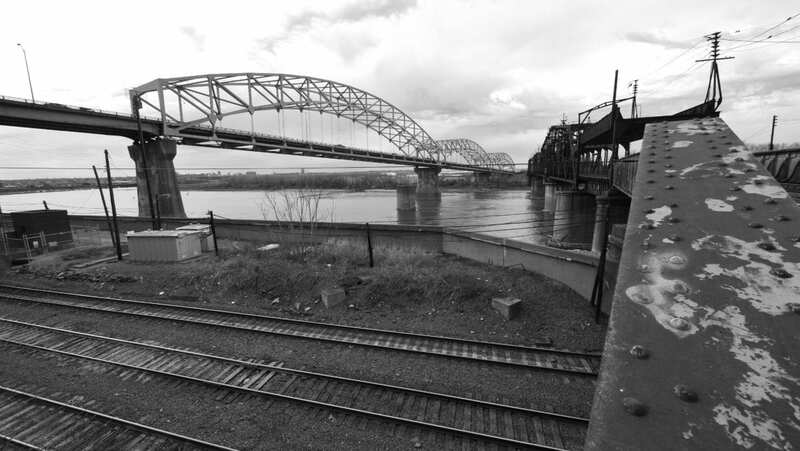 The FRA agreed with many of the audit’s findings and asked for a budget increase of $594,000 “to assist our oversight of bridge safety,” including a doubling of its railroad bridge staff. That money never materialized, and the current budget proposal by the Trump administration calls for $2.4 billion in budget cuts for its parent organization, the U.S. Department of Transportation. In the meantime, continuing concern over railroad bridge safety led the FRA early last year to launch a new program under which local officials can request information about railroad bridges. “These inspection reports will provide greater transparency between railroads and local leaders, which is an important cornerstone in our comprehensive safety efforts,” said Anthony Foxx, secretary of transportation under President Barack Obama. As it turns out, however, the new program requires the release of only minimal information on bridges — the length, location and type of bridge, the date of its last inspection and a general statement on its condition. That isn’t enough for some local officials. According to the FRA, no local officials have requested those documents for the two bridges over the Missouri River here. So Flatland asked Chris Hernandez, Kansas City’s director of communications, if anybody at City Hall would be willing to request the documents and share them with Flatland. “I have been consulting with other City staff members here, and the consensus is that we would be uncomfortable requesting that document solely for the purpose of passing it on to a reporter,” Hernandez wrote back in an email. As for concerns about environmental problems in case of a mishap on the bridge, Hernandez said, “Of course we would be concerned if we had reason to believe that the integrity of railroad bridges posed a risk of environmental damage from hazardous materials shipments. For now, millions of tons of freight, including hazardous materials, continue to cross the Missouri River on both downtown bridges every month. BNSF won’t release the number of trains or total tonnage for security reasons, it said. Trevino, the BNSF spokesman, said that, while the company will not release detailed bridge documents to the general public, out of similar concerns, it would release in-depth technical details about both bridges to any local officials with concerns about the bridges. — Mike McGraw is a special projects reporter for Flatland. Reach him at mmcgraw@kcpt.org, and follow his stories online at flatlandkc.org and @FlatlandKC.